Product code: ES8234 Categories: Antique, Antique Earrings. Here are a very large and magnificent pair of antique enamel and garnet earrings that will stand out from across the room and are unlike no other. Made in the 1880’s, these earrings measure an incredible 6.7cm in length by 3.4cm wide. Made in 9 carat rose gold, the colour of the gold alone is perfect with a charming warm rose colour unlike the very pink-coppery colour often seen in modern rose gold. 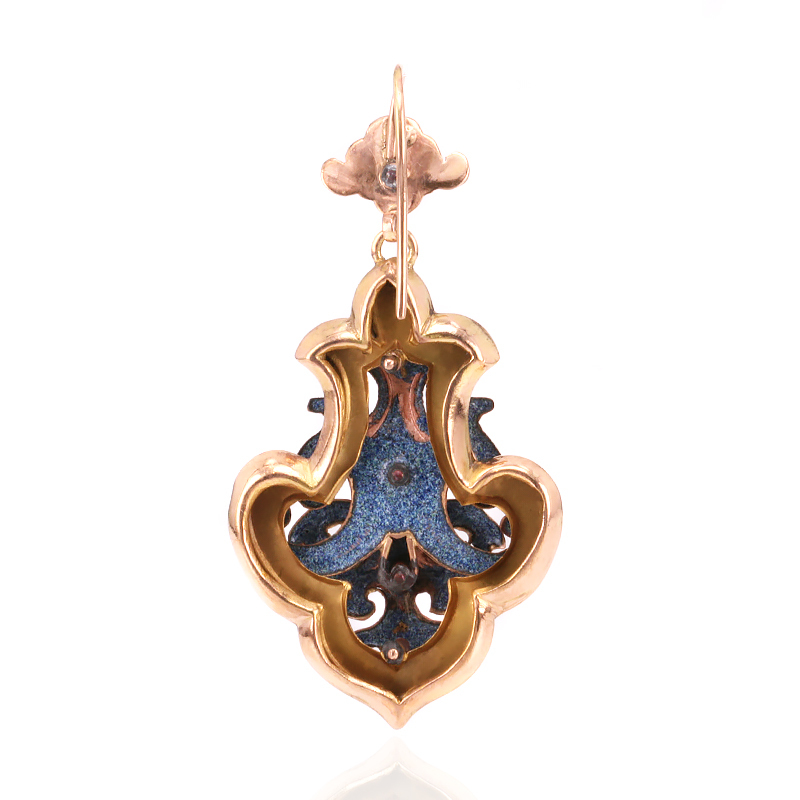 This colour of rose gold blends beautifully with enamel as well as the three cabochon cut garnets set into each earring. The enamel work in the earrings are so fine and elegant and highlight not only the design of the earrings but the quality of craftsmanship as well. Fitted with secure shepherd hooks, these are an exceptional pair of antique earrings that are also in superb condition.